Innovative drying formula: the first motorcycle cleaner with selfdrying effect! Dries without the need for a chamois and without leaving water stains. 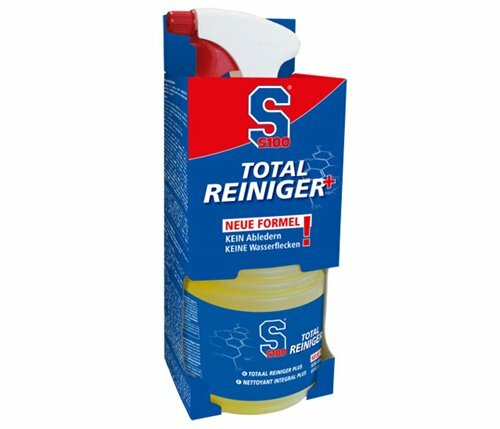 Proven strong S100 cleaning power: Effortless and residue-free removal of dirt – even insect remains and grease and oil stains can be removed easily. Material protection for all standard motorcycle surfaces. Gel formula provides exceptional yield and cleaning action. Do NOT use on unlacquered aluminium or black chromated components (e.g. metal radiator hose). Do not use in hot sun or on heated surfaces.